Here we have a mustachioed card! 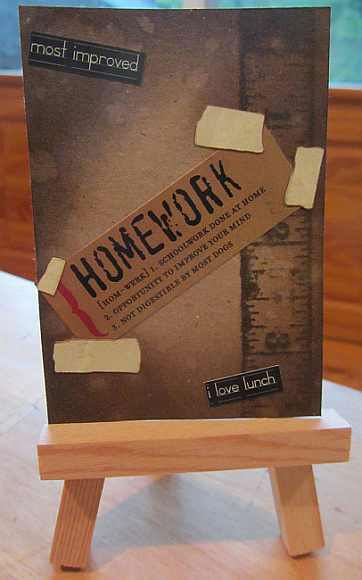 The Operation Write Home Midweek Throwdown challenge this week was to create masculine cards for our heroes to send home. I really wanted to use the “Swagger” patterned papers for this and decided that they would work well with the 365 Cards Day 188 Super Sketchy Sunday Sketch. I had a good time stretching this sketch to work with the elements I’d chosen. Thanks for stopping by! 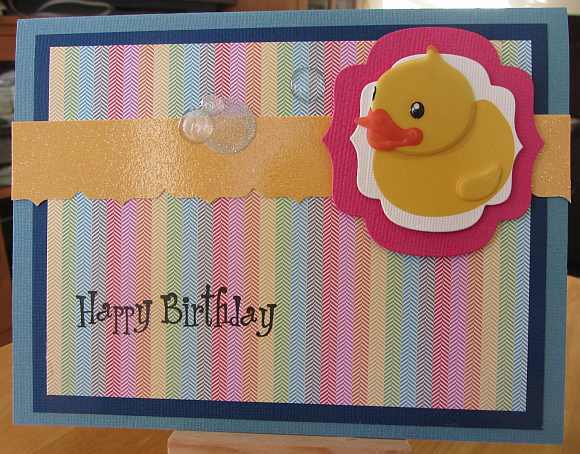 I made this card for a rubber ducky lover. I saw these stickers some time ago and knew I had to use them for Olivia! The stickers are vellum, so the duck looks translucent which makes it look pretty realistic. 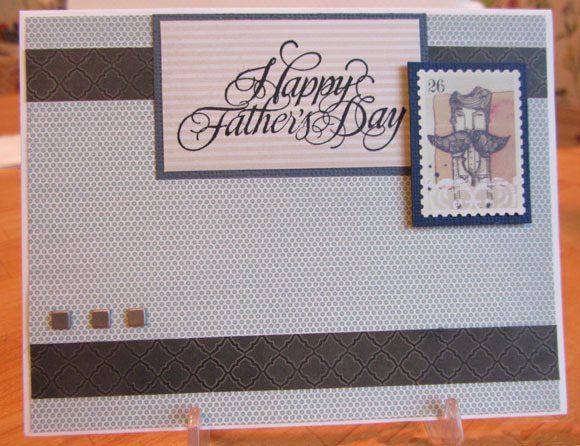 I used Sketch #243 at Clean & Simple Stamping for inspiration. Hope your day is just ducky and thanks for stopping by. This is another Father’s Day card that I will be sending off to Operation Write Home so that our heroes have cards to send to their dads. I liked this sketch from Freshly Made Sketches (Sketch #82). This sketch was a little bit of a stretch for me for some reason. Everything I used for this card had been in my stash for a long time, which is kind of fun! The only new thing was the patterned paper! Glad you stopped by. 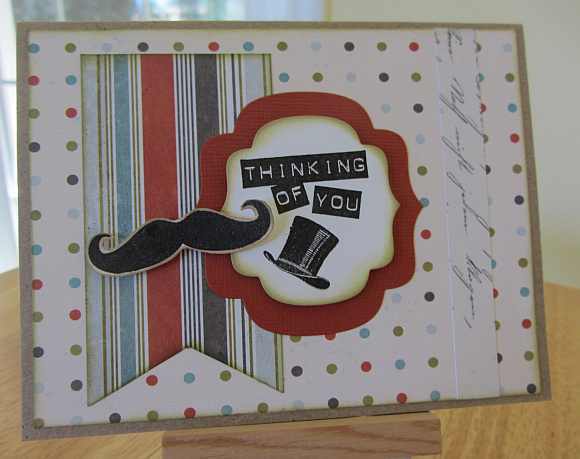 I crafted this card using the Operation Write Home Sketch #165 on the Stars and Stamps blog. I eeked out one last Mom card before the deadline for Mother’s Day and Mom cards! I never make as many as I’d like. Life (and mostly work!) gets in the way! 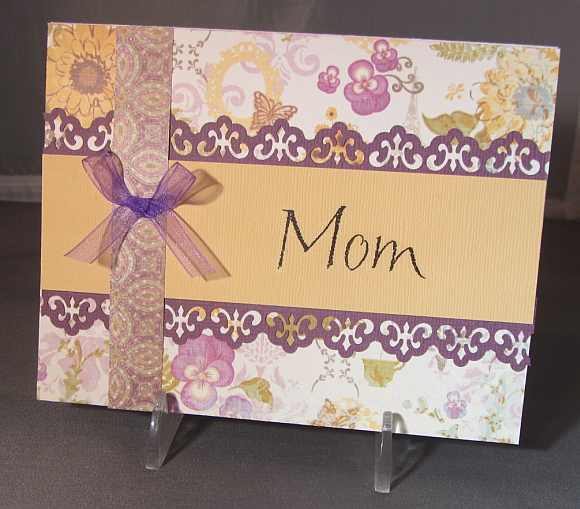 I thought this pretty floral patterned paper would be perfect for a Mom card. Thanks for visiting today.